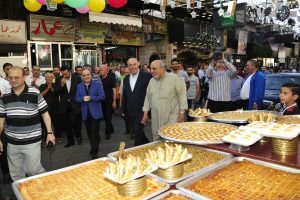 Damascus, SANA – Prime Minister Imad Khamis on Saturday toured Souq al-Midan marketplace in Damascus, meeting local shop owners and people shopping at the eve of Eid al-Fitr holiday. 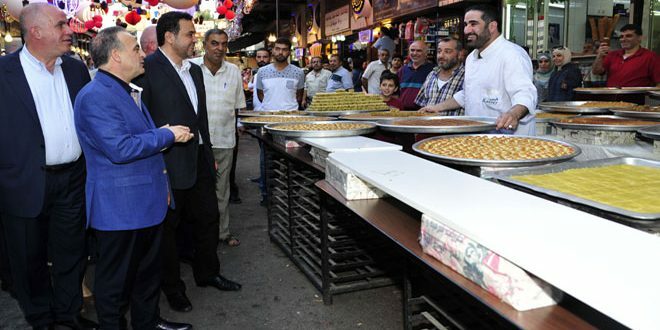 Premier Khamis talked with shop owners about the state of commerce, and they told him that retail activities are much better than they were in previous years, with Khamis affirming to them that the government under the directives of President Bashar al-Assad is committed to providing the necessary requirements of local industries and to restoring production to its former state from before the terrorist war imposed on Syria. 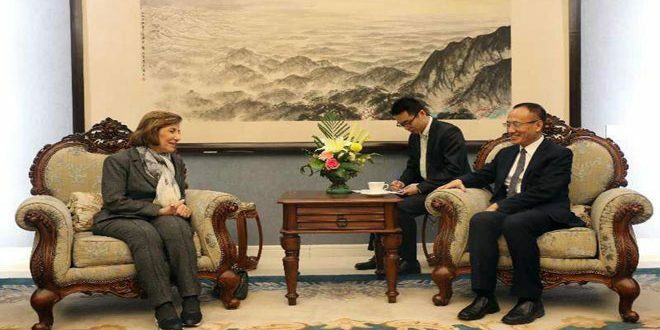 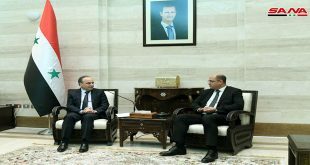 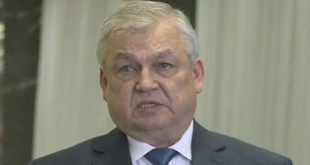 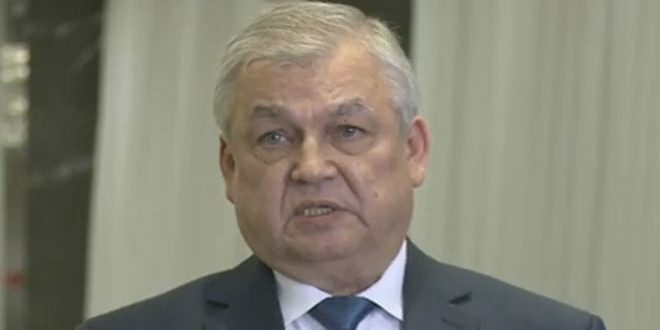 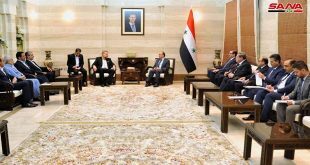 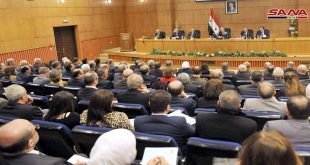 The Prime Minister said that local products can still compete with foreign products, and they rely on locally-produced raw materials made by the Syrians who thwarted all attempts to undermine national economy, preserving the quality of local products. 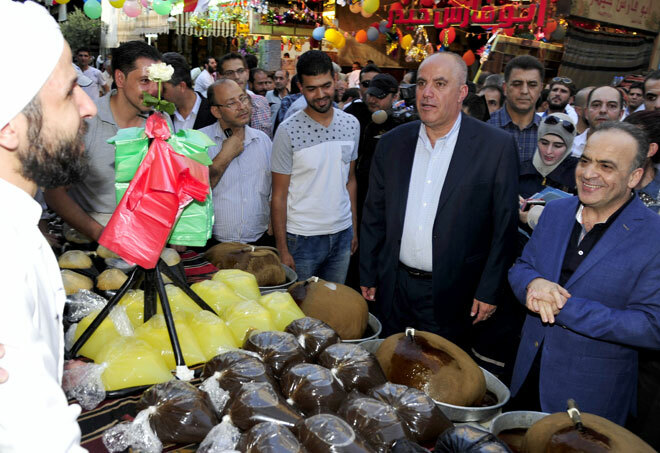 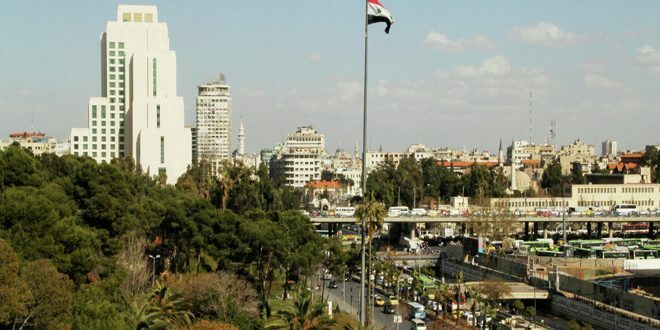 The shoppers that Khamis met voiced optimism in Syria’s future, expressing confidence that economic activities will return to the way they were before, calling on mass media to showcase the bustle and activity in Syrian markets. Previous Sunday is first day of Eid al-Fitr holiday.